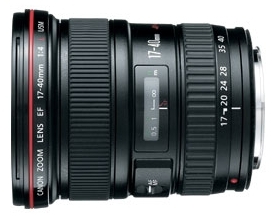 I've been uncertain about my Canon 17-40mm f/4 lens for some time. Even before I purchased the fancy glass I'd read several reports that products were shipping in less-than-perfect condition and required factory calibration. I decided that I'd order anyway, hoping Canon had resolved the issue. Since I began use of the lens it just didn't seem right. Looking at Sunday's photos from Brandywine Gorge reinforced my doubts. Test photos today proved the flaw: the lens doesn't form sharp images! Proof came in the form of a series of test images I made with the camera on a tripod: manual focus, automatic focus; 17mm, 40mm; wide-open, stopped-down. In every case the recorded images were only fair at best when examined closely on the computer screen. Visiting Canon USA's Web site I was hard-pressed to find how to receive warranty service. Finally I found that if I registered with the site, I could then get email support. Making my complaint and request for help online, I received a response within a couple of hours inviting me to return the lens to Canon for calibration. Good handling of my situation so far! The lens ships out tomorrow. I can hardly wait for return of the lens tuned to its optimal state; it's a beautiful piece of equipment and should create excellent pictures!